Flavours that can be achieved with barbecue sauce and marinades is just amazing. with these competition-winning BBQ sauces and marinades from the United States. Try Hickory Smoked Pork Ribs. Baste pork ribs with barbecue sauce using a basting brush. Barbecue for 30 minutes. Repeat this process another 4 to 5 times basting every 30 minutes. It is important not to let the ribs dry out during cooking. This procedure will add layer after layer of this super tasting barbecue sauce onto your hickory smoked ribs. Cover with foil if you wish to cook for longer. 8 time winner of American Royal BBQ Championships! There is no denying that this is one of the most successful barbecue sauces on the USA competition circuit. With 8 American Royal Championships, these sauces have been bringing home the trophies for two decades. These are a classic tomato-based sauce starting with ketchup, Worcestershire sauce, sugar, seasonings and smoke. 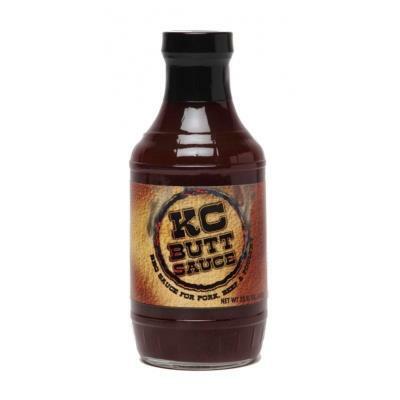 This sauce exemplifies the sweet, spicy, and smoky tomato-based sauces for which Kansas City is known. From ribs to chicken, brisket to burnt ends, you will not run out of uses for this versatile sauce. All-natural ingredients, hand-crafted in small batches. Rub Your Chicken Buffalo Sauce has a perfect mix of spices and herbs with a touch of citrus that enhances barbeque chicken, turkey. Whether you're grilling chicken at an outdoor gathering, baking the bird in your kitchen, or smoking turkey "Rub Your Chicken Buffalo Sauce" makes something good even better.